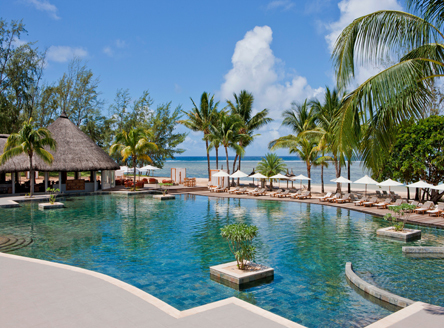 We offer a hand-picked collection of luxury Mauritius Hotels and 5-star Resorts. 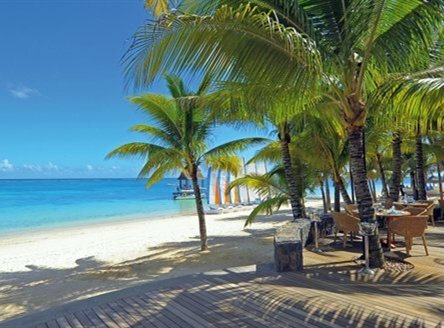 We also have several Luxury Mauritius Apartments as well as a Luxury Mauritius Lodge. 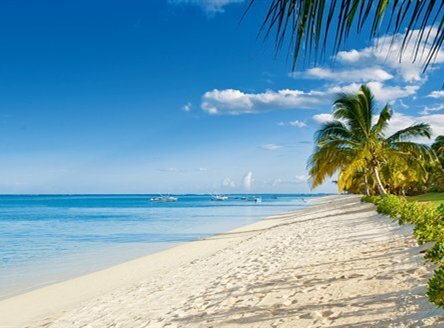 Most resorts feature a wide and varied choice of special offers, money-saving deals and value-added offers. Please contact us for a detailed and tailor-made quotation. 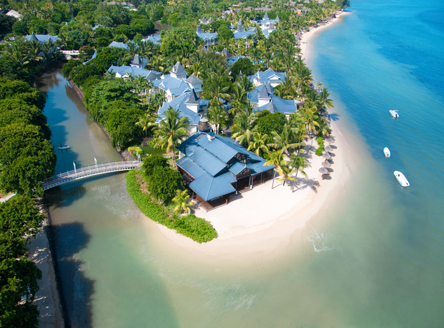 Constance Le Prince Maurice - On east coast with 2 golf courses! 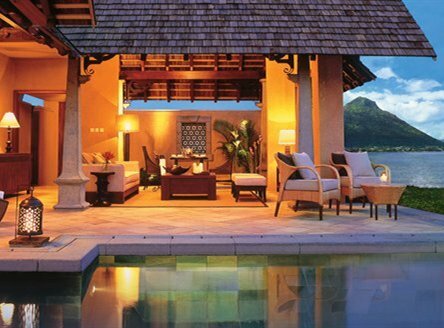 Luxurious resort - an indulgent tropical hideaway and part of 'Leading Hotels of the World'. 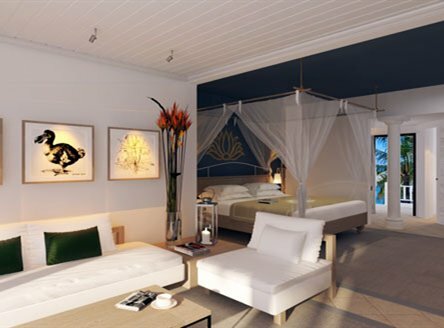 Relatively small boutique hotel set in 60 hectares of private, tropical gardens with beaches sheltered from prevailing winds. 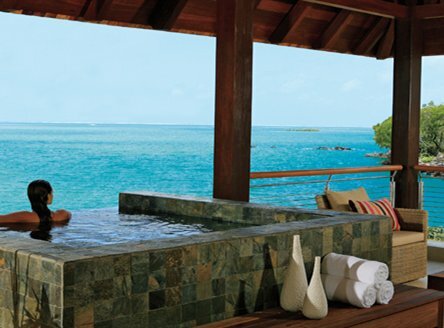 Maradiva Villas Resort & Spa - villas all with private pool! 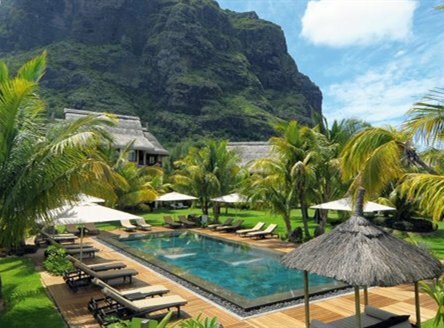 On the north coast, just 10 minutes from from Grand Baie, this adult-only 67-room hotel has an exotic design and is a haven of privacy for couples and honeymooners alike. 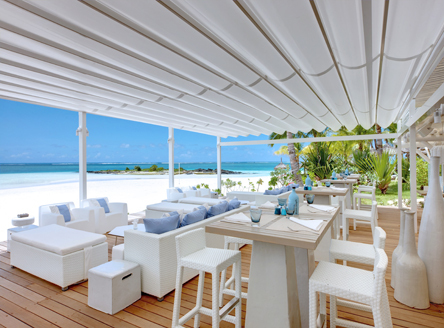 Includes a fabulous 'dine-around' concept.